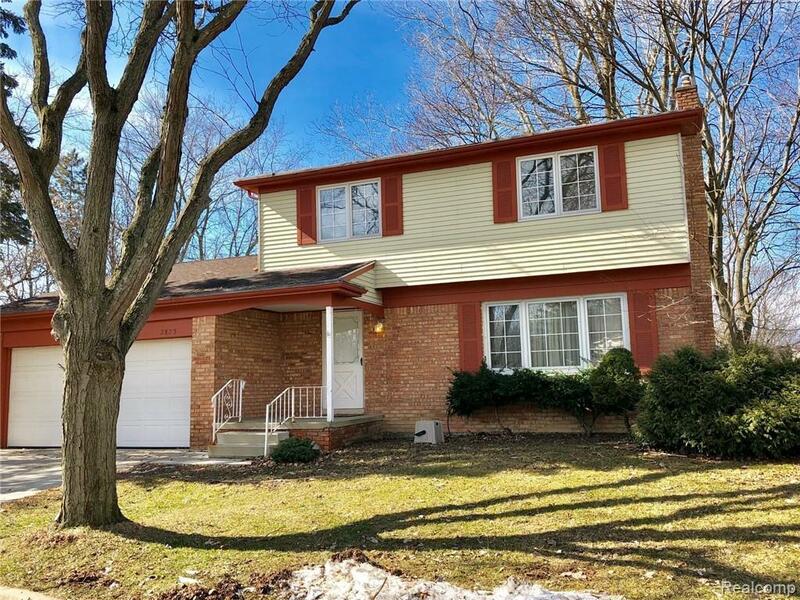 Updated brick colonial single family home on cul de sac. Hardwood floor throughout. Large living room. New kitchen with Corian countertop. Family room has fireplace, with doorwall that opens to wood deck and overlooks common area. Updated 2 full bath upstairs with 3 bedrooms. Finished basement with laundry. 2 car attached garage. Walking distance to Logan Elementary School. Sidewalk in complex. Minimum 3 year lease, longer term preferred. BATVAI. ALL MEASUREMENTS APPROXIMATED. NO VIRTUAL SHOWINGS. LICENSED AGENT TO BE PRESENT AT ALL SHOWINGS. Full credit report with credit 720+, employment letter, lease application, 3 month bank statements are required for owner's review. Absolutely no pets, no smoking. $300.00 non refundable cleaning fee.